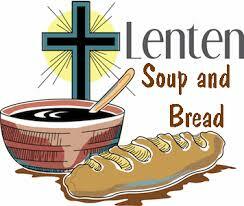 During Lent, The Weobley and Staunton Group of Parishes will be hosting Soup Lunches from 12 noon to 2pm to raise money for the Hereford Diocese Mothers’ Union Crisis Intervention Fund (CIF), a local charity supporting young families in exceptional need with vital, practical support; and The Cart Shed, a Norton Canon based charity focussed on helping those confronted by life-changing mental health issues find a restorative sense of well-being and renewed self-confidence. Do come and join us at one or more of these lunches, they are always happy social occasions and all are welcome. It is helpful to telephone your hosts beforehand. There’s no charge for the meal but donations are invited instead. Wednesday 14th February (Ash Wednesday) at The Orchard, Old School Lane, Staunton-on-Wye, HR4 7NF. Hosted by Hilary Alcock (01981 501157). Friday 23rd February at Lower Farmhouse, Byford, HR4 7LD. Hosted by Virginia and Martin Taylor (01981 590331). Tuesday 13th March at Parkfields, Church Road, Weobley, HR4 8SD. Hosted by Patricia Bourdillon (01544 318658). Friday 16th March at The Salmons, Bridge Sollars, HR4 7JH. Hosted by Lynn Compton and Helen Cotterell (01981 500280).